Oh, I disagree. AROOOs may have been started by Scotties but anyone of good faith with love in the heart has a license to put the old head back and let fly "AROOOOOOOOOOOOOOO"! Oh, sweet Heather....what a gloriously beautiful photo of you...and your pink socks rock! I would love to have that picture hanging over my bed. 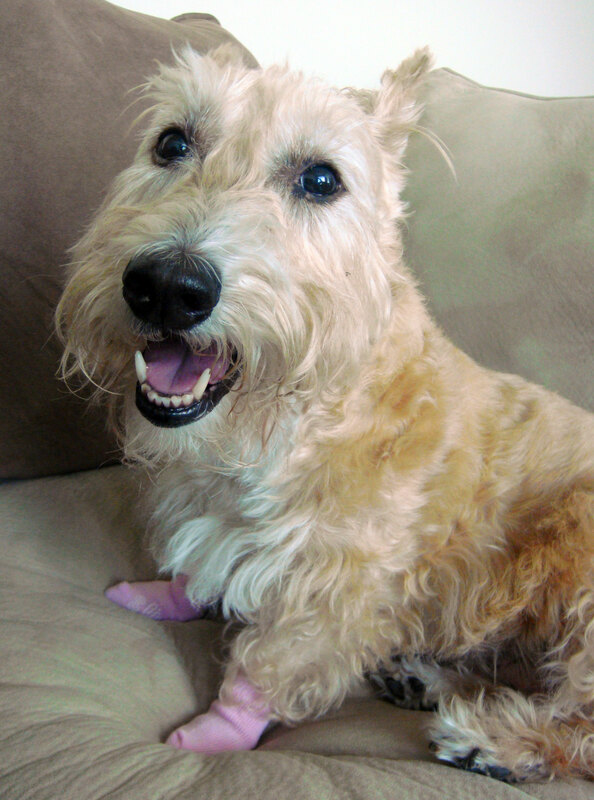 You are one beautiful Scottie Lady (me thinks I heart You!!!) Thank you so much for your answer to my "not ArrooRoo-ing" problem. I feel better knowing you and Mr. K also do not do this. So glad it is not only me! My Mom will feel better as well. I will pray you and Mr. K will not suffer any more from that terrible malady. I know it must be terrible for you and Mr. K to go through all that poking and prodding from the vet not to mention having to take meds. The only way I take my pills is when they are disguised in cheese. Do you like cheese? Date proposal....we should make it work! If you ever get to Annapolis, maybe to visit the U.S. Naval Academy, I'm only a hop, skip and a jump away. My big bro, Josh, went to Clemson but I wasn't born then to visit him but my Mom drove there many times. She says it is not too far from Atlanta and Snellville....and Krispy Kremes. Have to go. My big sis Lucy 'lello Lab wants to go outside and play. My best to you, sweet Heather. I love reading about your, and Mr. K's antics. I, too, love to make my parents laugh as laughter is so good for the soul ! 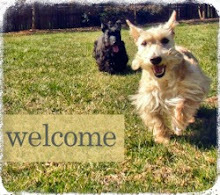 Sweet Miss Heather - thank for your reply and thank you soooooo much for the extra Scottie love, too! I am so happy you are on the mend - both of the health scares you and Mr. K has were certainly awfully scary for any Scottie Mom. They do sound like you got exposed to something toxic. So happy to hear you're doing better. Miss Maggie is not feeling herself and she has very high AlkPhos and takes denamarin and urosdiol everyday. We have another trip to the vet on Monday, so please think happy thoughts for us! Hope you have a wonderful Sunday in Atlanta- we've got some good weather in Indianapolis, too. Enjoy the exploring outside. Maybe we can find some squirrels to chase. :o) Heaven knows Macalister, the almost 14 year old still likes 'treeing' squirrels. Okay -one last question....what are you going to be for Halloween? P.s. 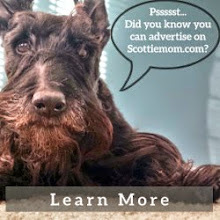 IndyScottieMom and Maggie'sScottie Mom are the same.